Time to clean your San Antonio, Texas tile and grout? Can you even remember what your original grout color is? Complete Clean Water Extraction can help! Since 2003, we've been cleaning tile in San Antonio and revitalizing grout. Through the years, we've become established as a leading local damage restoration company. We've acquired the personnel and equipment to restore flood damage properties. As a result, we're able to utilize these resources to expertly clean carpets, tile and grout in San Antonio. Whether it's your floors, bathroom tile, or shower...cleaning grout works, San Antonio residents! Call (210) 239-0486 for a free quote. Building a solid reputation as a trusted tile and grout cleaner in San Antonio one happy customer at a time, Complete Clean Water Extraction takes great pride in the quality of service and professionalism we provide to each and every customer. Because of our extensive background in the damage restoration business, Complete Clean Water Extraction is the ideal choice to clean tile and grout in San Antonio; we've got the manpower and machine power to restore your tile to it's original luster. Whether you're looking for a San Antonio grout cleaning professional to clean your tile floors or for your San Antonio tile bathroom, we can get the job done for you! Call (210) 239-0486 today for a free grout cleaning quote. How Much Does Tile Cleaning in San Antonio Cost? Getting your tile and grout professionally cleaned doesn't have to cost a fortune. Actually, when you call Complete Clean Water Extraction, San Antonio's tile cleaning expert for a quote, ask about our maintenance program. Should you choose this program, the cost to keep your tiles and grout clean will decreases even more. With regular cleanings (every six to nine months), we can help you maintain your home at a higher level of clean and keep your grout from looking dingy. Give us a call at (210) 239-0486 for a quick, reasonable quote for tile and grout cleaning in San Antonio today! 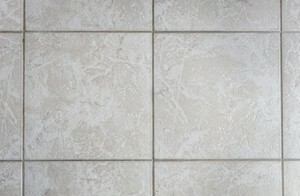 Why Call us for Tile and Grout Cleaning in San Antonio? Complete Clean Water Extraction has been in the damage restoration business in San Antonio for many years. We help restore homes and businesses that have sustained water damage. If we can handle that, we can definitely give you the best tile cleaning in San Antonio you've ever had! You'll be amazed at how shining clean your tile flooring can be when you call Complete Clean Water Extraction. You'll be getting technicians with a high level of expertise, armed with powerful tools for a thorough, effective clean. Our truck mounted units and high pressure turbo wands are powerful enough to clean your tiles to a shine, and our experienced crews are careful to protect your grout. We have turbo fans for quick drying and can even color seal your tile and grout! Call (210) 239-0486 for San Antonio grout and tile or carpet cleaning.